Some of the blazes were accidental, and as people travel more the areas at risk are increasing. A new study blames people for triggering five out of every six wildfires in the United States and tripling the length of the wildfire season, reports the Daily Mail Online. Even as climate change worsens the nation’s fire season – making it longer and easier to burn more acres – researchers say human activities play an even bigger role. 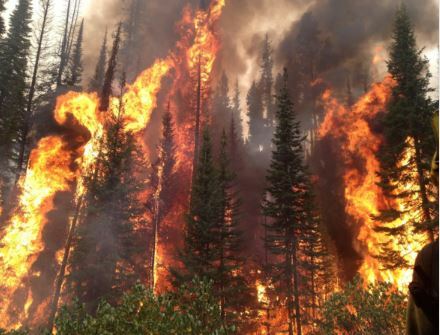 Scientists looking at fire data from 1992 to 2012 found that 84 percent of all U.S. wildfires were started by people, either by accident or on purpose. ‘Wind power on steroids’ or another madcap ‘sustainability’ scheme that never gets off the ground? No mention of storage, and typhoons are far from everyday events. In what could be the ultimate clean energy, Japan is set to start harnessing the energy of typhoons, with wind turbines that are able to withstand intense storms – and turn them into power, reports the IB Times. 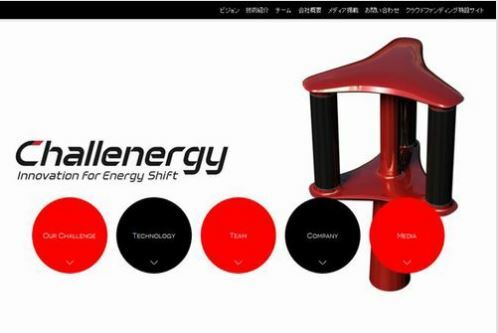 Typhoon turbines, also known as the Magnus Vertical Axis Wind Turbine (VAWT), were first thought up by Atsushi Shimizu, chief executive of Challenergy Inc. After seeing the widespread destruction caused by the Fukushima nuclear disaster, he wanted to find a way to provide a safe and sustainable source of energy. The project is described as ‘vital’, which may raise questions about the present state of these two national grid systems. The idea that it will help support increased electric car use – that’s one of its claims – is a bit weak as so few people want them. 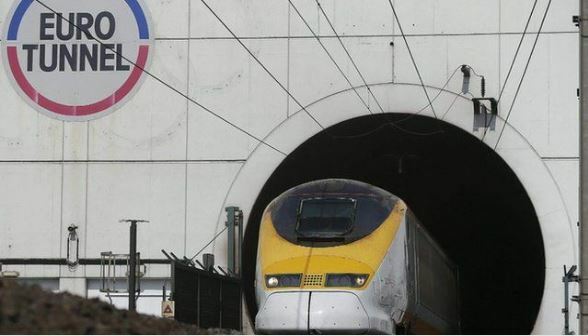 A major new project to install an interconnector linking the electricity markets of Britain and France via the Channel Tunnel has just put down its foundations, reports PEI. The foundation stone of the Folkestone Converter Station was laid on Thursday by Jesse Norman, UK Minister for Industry and Energy. The ElecLink 1 GW Direct Current link is expected to cost around £580m. The project will generate approximately 300 new jobs during the construction phase together with ongoing jobs needed for the operations and maintenance throughout the life of the project. 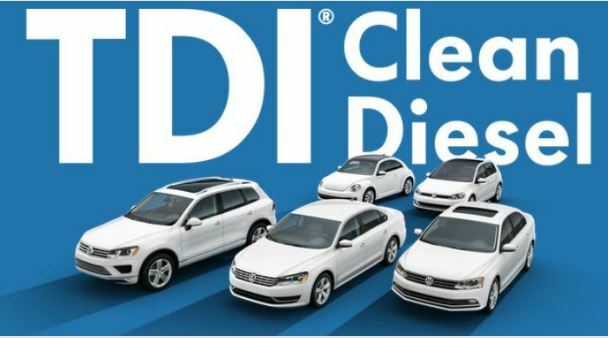 The VW diesel scandal has changed opinions. Car sales people may need a new pitch to buyers after this change to government policy. ‘Clean diesel’ is dead. The Government is reportedly considering a scrappage scheme for diesel cars to improve air quality, reports the Belfast Telegraph. Drivers should think long and hard before buying a diesel car, the Transport Secretary has said. Chris Grayling suggested motorists should consider buying a low-emission vehicle rather than spending their money on a diesel. His intervention follows reports the Government is considering a scrappage scheme for diesel cars to improve air quality. The reported scheme would see drivers offered a cash incentive for replacing an old diesel car with a low-emission vehicle. There’s going to be a lot of meltwater sometime. The snow amounts in California’s Sierra Nevada mountain range this winter are difficult to wrap your head around, reports Sott.net. In many cases topping 500 inches, they are some of the highest totals in memory. 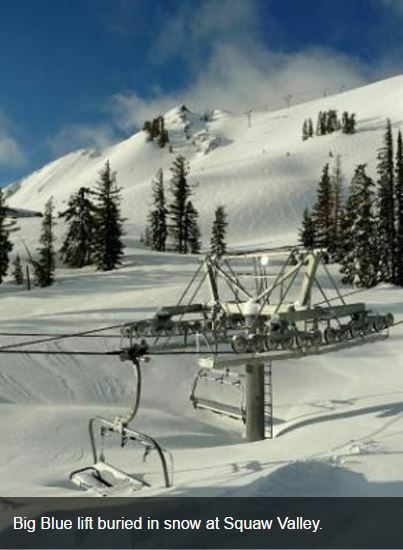 At the Squaw Valley Alpine Meadows resort, seven feet fell in just the past week. The snow is so high that it buried chairlifts and ski patrol shacks. The resort has received 565 inches (47 feet) this season, including a 45-year record of 282 inches in January. On Thursday, it announced that its ski area would remain open through July 4. 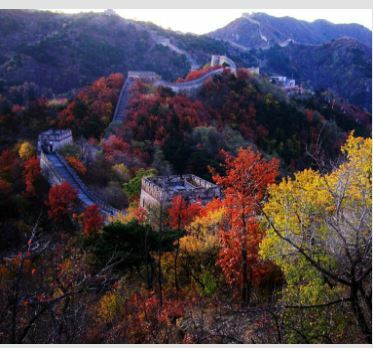 Since 1962, it will mark just the fourth instance of Independence Day skiing (the other years were 1998, 1999, and 2011), according to a resort spokesperson. Note the output from the cooling towers is NOT black – no trick photography here. 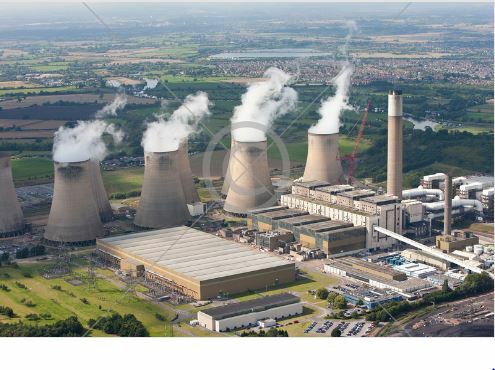 For some reason (‘de-carbonisation’) the UK government’s actions on electricity supply are usually opposite to its stated policy of ‘secure, affordable’ energy. Expensive and often unreliable power sources are given priority most of the time, apparently in pursuit of climate illusions. Interventions in the energy market by successive governments have pushed up prices, but not secured supplies, peers found. A House of Lords committee said the interventions have led to an opaque, complicated and uncompetitive market, reports BBC News. The peers blame “poorly designed government interventions in pursuit of decarbonisation” that they say have put pressure on energy supply and bills. The government said its priority was ensuring secure, affordable energy. This is an extended re-write of the earlier post on this topic. The purpose is to explain the Jose cycle chart shown below (in blue). The Hale cycle is the time taken for solar magnetic polarity to return to its initial state (i.e. two ~11-year cycles: one north, one south), so the two reversals of polarity take around 22 years. ‘Finally, we recover a 22.14-year cycle of the solar dynamo in the framework of a reduced zero-dimensional a-s dynamo model.’ – Stefani et al. Hence, the basic unit of change in the Sun’s rotation rate (i.e. an increase followed by a decrease) is 2 x 11.07 years = 22.14 years. This is essentially equal to the mean length of the Hale magnetic sunspot cycle of the Sun which is 22.1 +/- 2.0 yrs). 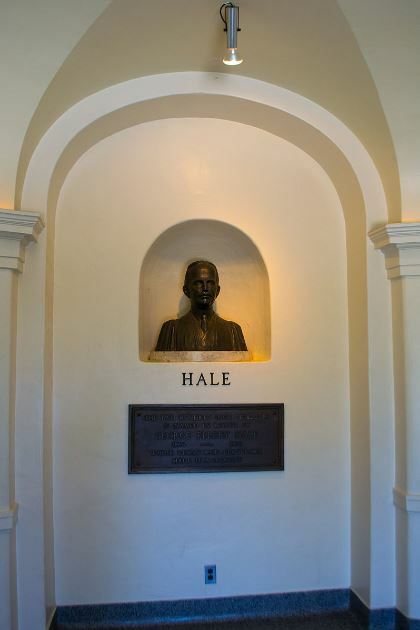 The aim here is to link the Hale cycle to the planetary movements of Jupiter and Saturn. Variations of this aerosol claim have been around for many years. These researchers seem uninterested in known oceanic cycles which might help to explain the observed temperature changes, instead relying on climate models. But another researcher notes that ‘black carbon emissions in some parts of the Arctic are still quite common’, as confirmed recently here. An earlier study (2007) reported ‘There is, however, at least a fourfold uncertainty in the aerosol forcing effect.’ So it looks like the jury is still out regarding air pollution in the Arctic. Humans may have been altering Arctic sea ice longer than previously thought, according to researchers studying the effects of air pollution on sea ice growth in the mid-20th Century. The new results challenge the perception that Arctic sea ice extent was unperturbed by human-caused climate change until the 1970s, reports Phys.org. 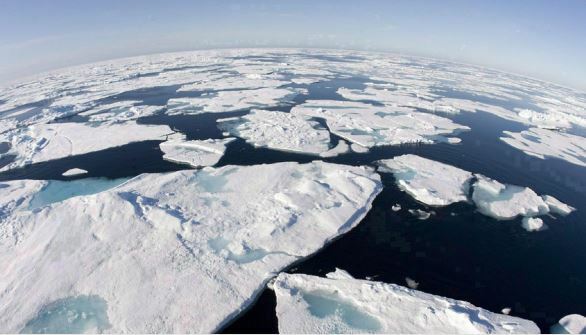 Scientists have observed Arctic sea ice loss since the mid-1970s and some climate model simulations have shown the region was losing sea ice as far back as 1950. In a new study, recently recovered Russian observations show an increase in sea ice from 1950 to 1975 as large as the subsequent decrease in sea ice observed from 1975 to 2005. The biomass problem, or fallacy, is well-known and media like The Times are finally catching up. Britain is wasting hundreds of millions of pounds subsidising power stations to burn American wood pellets that do more harm to the climate than the coal they replaced, a study has found. Chopping down trees and transporting wood across the Atlantic Ocean to feed power stations produces more greenhouse gases than much cheaper coal, according to the report. It blames the rush to meet EU renewable energy targets, which resulted in ministers making the false assumption that burning trees was carbon-neutral. Exoplanets up to 90 times closer to their star than Earth is to the Sun. We did know something about this system already, but more work has led to today’s announcement. 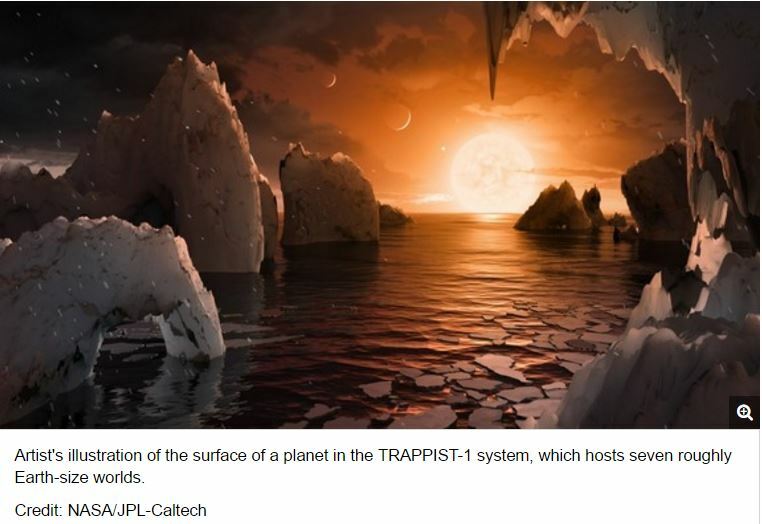 Astronomers have never seen anything like this before, says Space.com: Seven Earth-size alien worlds orbit the same tiny, dim star, and all of them may be capable of supporting life as we know it, a new study reports. 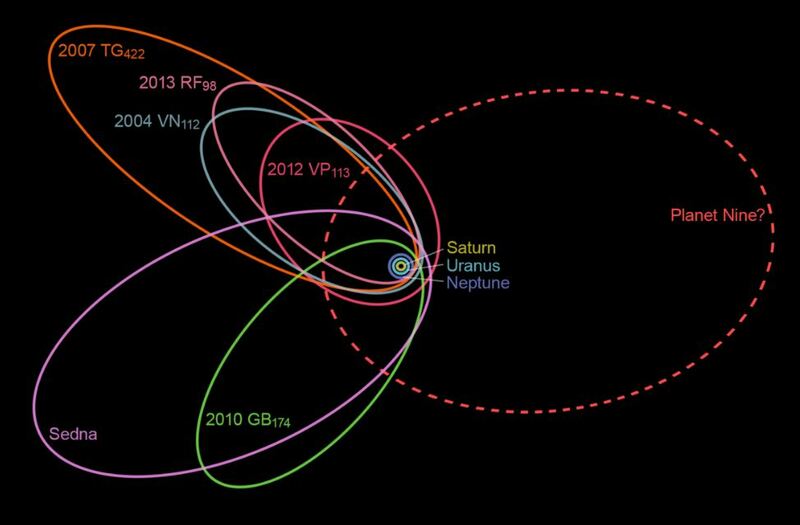 Researchers suggest the pair may have got too close to the hypothetical Planet Nine, resulting in their current orbits. The dynamical properties of these asteroids, observed spectroscopically for the first time using the Gran Telescopio CANARIAS, suggest a possible common origin and give a clue to the existence of a planet beyond Pluto, the so-called ‘Planet Nine’, reports Phys.org. In the year 2000 the first of a new class of distant solar system objects was discovered, orbiting the Sun at a distance greater than that of Neptune: the “extreme trans Neptunian objects” (ETNOs). Their orbits are very far from the Sun compared with that of the Earth. We orbit the Sun at a mean distance of one astronomical unit (1 AU which is 150 million kilometres) but the ETNOs orbit at more than 150 AU. To give an idea of how far away they are, Pluto’s orbit is at around 40 AU and its closest approach to the Sun (perihelion) is at 30 AU. This discovery marked a turning point in Solar System studies, and up to now, a total of 21 ETNOs have been identified. Recently, a number of studies have suggested that the dynamical parameters of the ETNOs could be better explained if there were one or more planets with masses several times that of the Earth orbiting the Sun at distances of hundreds of AU. South Australia has found out the hard way that relying too much on wind turbines is bad news for everyone, including the politicians who ordered it. 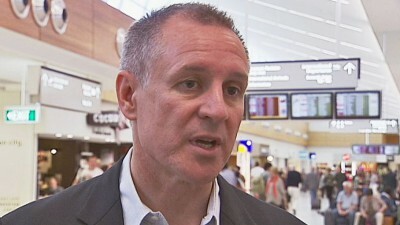 Jay Weatherill’s political future all but blacked-out. While the power pricing and supply calamity that is South Australia is down to the subsidies awarded to wind power under the Federal government’s Large-Scale RET, the state Labor government has done plenty to create the unfolding disaster and nothing to mitigate it. It’s vapid Premier, Jay Weatherill must know that, as a wind power champion, he’s yesterday’s ‘hero’ and, as a so-called political leader, today’s fool. Results so far from climate models are very unconvincing, despite huge resources of manpower and technology. Fake news is an insidious form of propaganda. Donna Laframboise takes a closer look. I’m aware of two occasions in which the Science Guy has misled the public. But the New York Times says he’s saving us from misinformation. Eleven days ago, the New York Times ran a story headlined: “In an Age of Alternative Facts, Bill Nye’s New Show Brings Real Ones.” How charmingly naive. If you’re in a rush, and want to know about Nye’s misleading video as well as his misleading article in the very same New York Times, scroll down to the navy-coloured text below. But the longer story is entertaining. The notion that some people are a source of real facts, while others are a source of fake/alternative facts, is currently being pushed hard by the mainstream media. Journalists have decided that a major part of their job is to tell the rest of us who to believe. It looks more like ‘winding down’ at this stage, but ‘scrapping’ eventually. Not unexpected, if it goes ahead as suggested. Nasa’s Earth science division is set to be stripped of funding in favor of exploration of deep space, with the president-elect having set a goal during the campaign to explore the entire solar system by the end of the century. This would mean the elimination of Nasa’s world-renowned research into temperature, ice, clouds and other climate phenomena. This runs counter to claims that a warming world leads to more extreme weather. The summer monsoon strength shows a consistent decline over the study period. But last year was an exception – possibly related to the big El Niño? In one of the most comprehensive studies on trends in local severe weather patterns to date, an international team of researchers found that the frequency of hail storms, thunderstorms and high wind events has decreased by nearly 50 percent on average throughout China since 1960, as Phys.org reports. 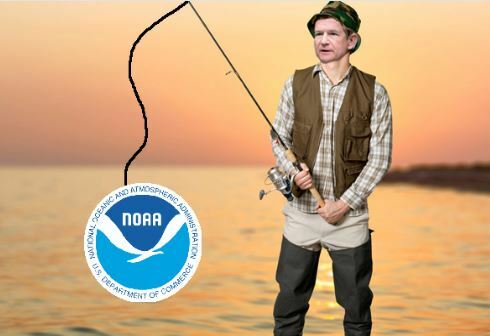 It should be harder for NOAA to brush this off than it was when the last President was in office. Revelations by the Mail on Sunday about how world leaders were misled over global warming by the main source of climate data have triggered a probe by the US Congress. Republican Lamar Smith, who chairs the influential House of Representatives Committee on Science, Space and Technology, announced the inquiry last week in a letter to Benjamin Friedman, acting chief of the organisation at the heart of the MoS disclosures, the National Oceanic and Atmospheric Administration (NOAA). He renewed demands, first made in 2015, for all internal NOAA documents and communications between staff behind a controversial scientific paper, which made a huge impact on the Paris Agreement on climate change of that year, signed by figures including David Cameron and Barack Obama. Tough conditions for many as the southern California weather continues its winter wild streak. One of California’s strongest storms in years – dubbed a “bombogenesis” or “weather bomb” – has hit the state, killing at least four people and bringing torrential rain and floods. Power cuts hit 150,000 households and sinkholes swallowed cars. Hundreds of homes were evacuated amid fear of mud slides near Los Angeles. More gusts, heavy rain and flash floods are expected on Saturday but the storm is due to subside by Sunday. Germany’s excess power spills over the border into Polish and Czech territory and threatens their electrical grids with collapse, companies and governments there say. 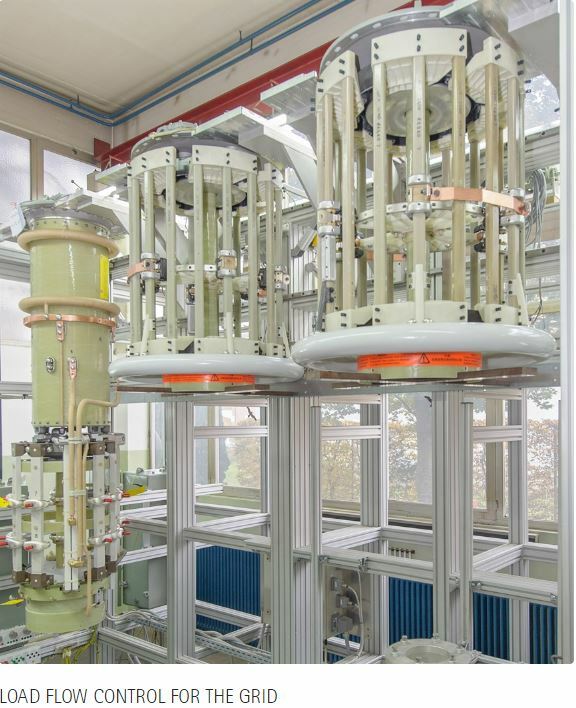 A battle is raging in Central Europe over the balance of power—the electrical kind. Poland and the Czech Republic see Germany as an aggressor, overproducing electricity and dumping it across the border. Germany sees itself as a green-energy pioneer under unfair attacks from less innovative neighbors. As part of Chancellor Angela Merkel’s Energiewende, or energy revolution, Germany will shut its nuclear power plants by 2022 and replace them with its rapidly expanding wind and solar power. But the volatile renewables don’t always perform, and the Germans are also relying on coal- and gas-powered plants to keep the lights on. The predictable war on diesel cars is underway. 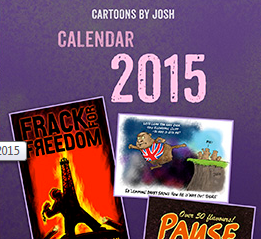 The days of promoting them as ‘climate-friendly’ are over, in the UK at least. Diesel trucks, vans and buses are overlooked. London’s air pollution problem is so bad that just five days into 2017 Brixton had already used up its traffic fume allowance for the year, reports iNews. Brixton has since been overtaken by Knightsbridge as Britain’s most polluted district so far this year. 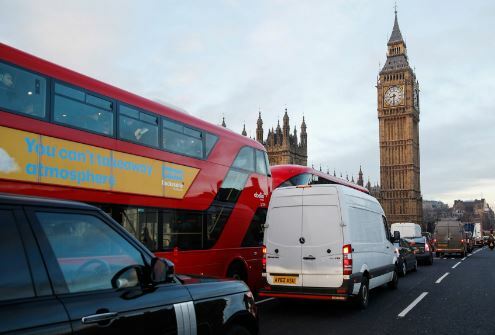 The wealthy west London suburb has exceeded the EU nitrogen dioxide (NO2) limit for a total of 52 hours already this year, nearly three times the legal annual allowance of 18 hours, according to the latest figures from Dr Gary Fuller at King’s College London. But traffic pollution is by no means confined to these London hotspots.